With its translucent properties and incredible versatility, vellum has made its way back into the papercrafting limelight! We have several stamping tips and techniques to share, showing just how fun and versatile vellum can be. Keep scrolling to see some vellum-enhanced artwork and to learn something new! If you look carefully at this scrapbook page, you will see that the bottom layer of the mat behind the photo is a large piece of vellum. There are several things to learn from this example alone. First, take a look at the beautiful floral arrangement that was stamped directly onto the vellum. To create this muted effect, we used our regular water-based dye inks. Because vellum is less porous than other papers, ink will take longer to dry. We helped move the process along by using our trusty craft heater. For this technique, allow your heater to heat up before you use it. Once it’s hot, blow on the ink intermittently from behind the paper (which means you would need to do this step before attaching a piece like this to your page). If you blow directly onto the ink and vellum without pulling the heater away, the ink will move and the paper will warp. Once you’re done with the craft heater, blot any excess ink with a tissue to achieve a softer color as well as a completely dry image. We took the translucent property of vellum a step further with this card. 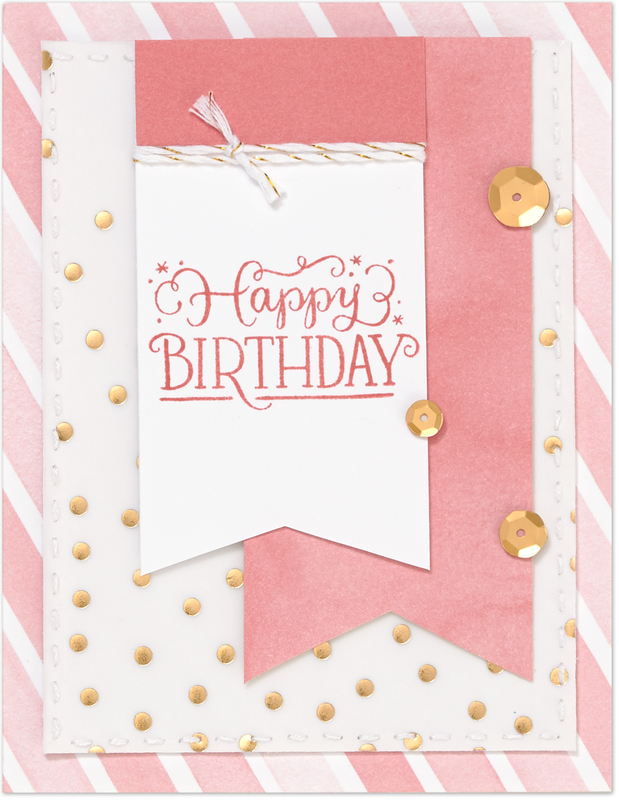 Instead of using it as an attached overlay, we made the entire card base from vellum and used one of our base & shade stamp sets for the images. 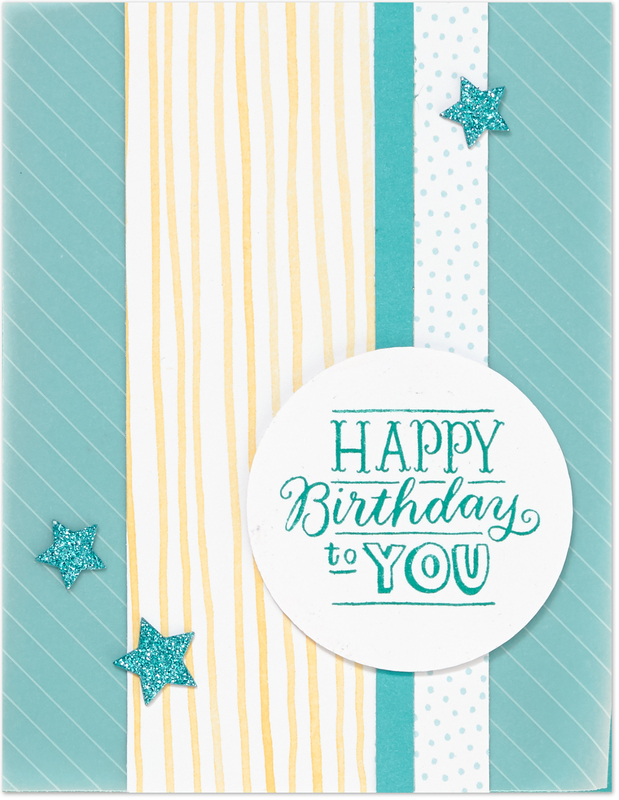 The “base” of the image is stamped on the inside of the card and the “shade”—or outline—is stamped and embossed on the outside. 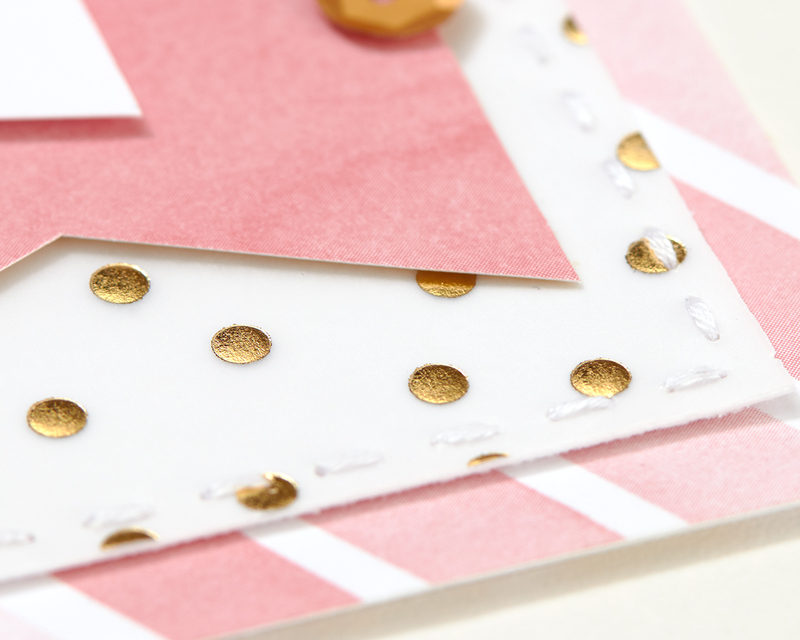 Tips: attach a piece of cardstock to the inside of the card base and stamp it first, then line up the “shade” from above on the outside. 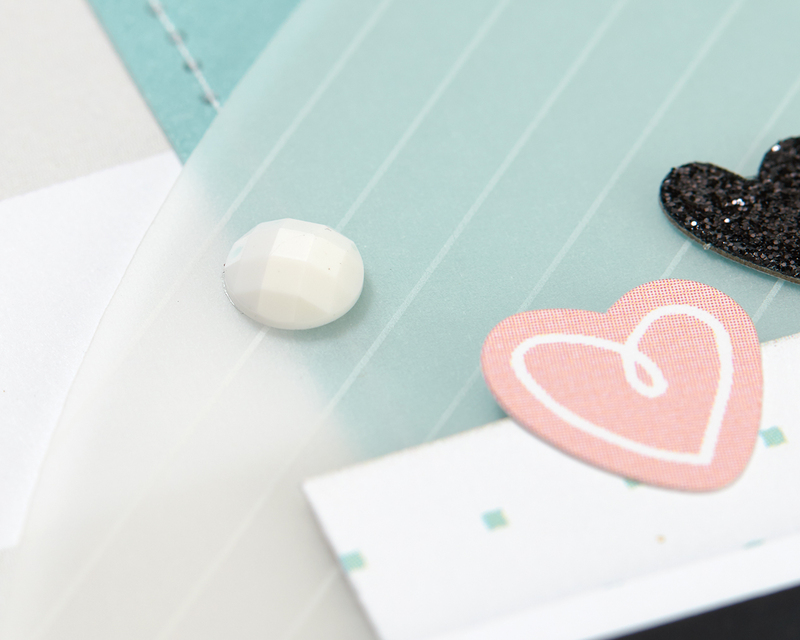 After stamping and embossing the outside of your card, if the color from the base isn’t showing through as much as you’d like, add some watercolor (a little goes a long way on vellum) to your embossed images from behind. Watercolor paint dries fairly quickly on vellum, but if you’d like to speed the process up the craft heater should do it. Vellum has been around for a long time but it’s sure making a comeback! 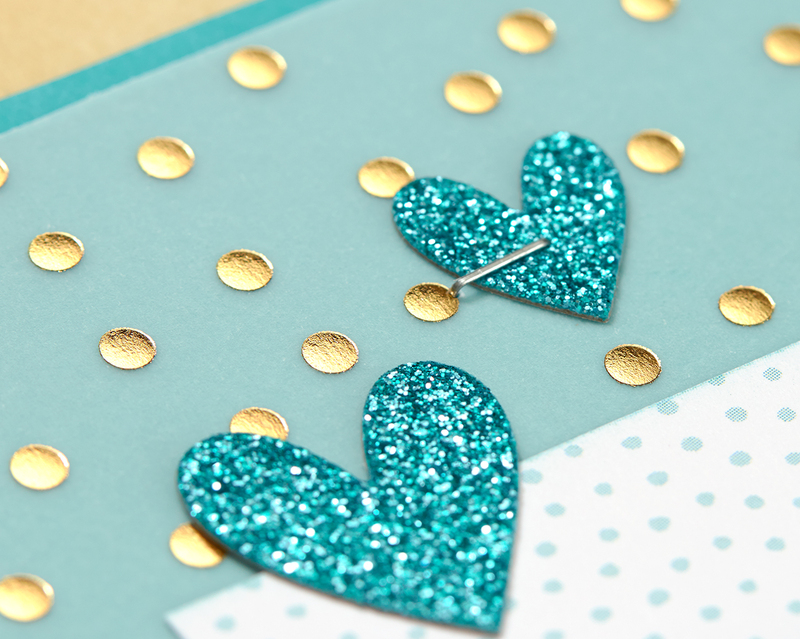 Whether you use it in papercrafting, scrapbooking, or cardmaking, vellum can easily add depth, dimension, and texture to any of your projects. If you’ve got a tip or some artwork with vellum that you’d like to share, please do so in our comments below! 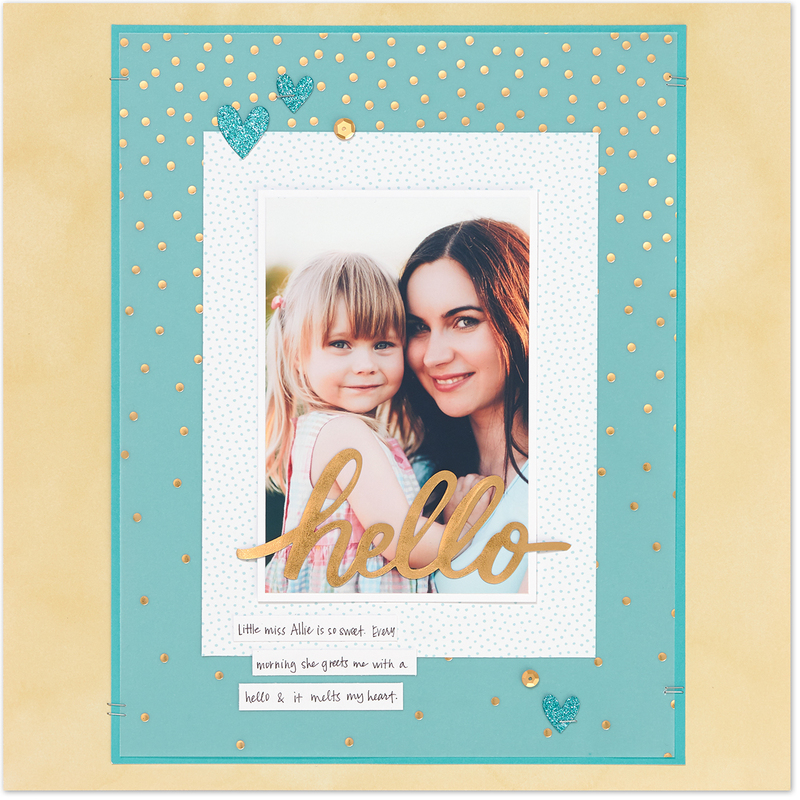 Specialty papers like vellum are great for making a card or scrapbook page unique. The trouble is, vellum can be tricky to attach because of its translucent nature, but don’t fret! The creative geniuses in our Art Studio have agreed to share their vellum knowledge with you all here on the blog. Try these five tricks for attaching vellum without showing any adhesive! You can use a tape runner and Glue Dots to secure your vellum—you just have to know where to hide them! Use adhesive to attach the vellum to portions you know you will cover with paper. For example, here we used adhesive in the middle of the vellum because we knew it’d be covered up by the yellow-striped paper. 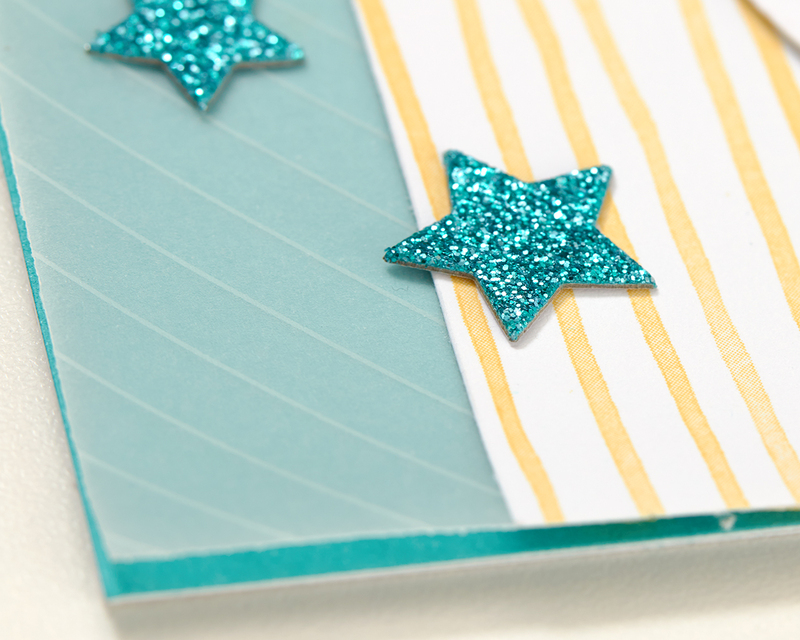 You can also sneak Glue Dots behind embellishments to further secure the vellum, like we did with the star on the vellum shown here. With this technique, the edges of your vellum probably won’t all be attached, but in the case of this card, that’s just the effect we were going for! Use our stitch guide and piercing tool to stitch your vellum onto paper. Stitching is a great option if you want to secure the edges of your vellum from lifting off the card. To make sure your vellum doesn’t slide around when you’re using your stitch guide and piercing tool, use a little adhesive to secure the vellum to the paper in a section you know will be covered with paper later. The key with using the Bonding Memories™ glue pen is to apply a VERY thin layer to your paper, and then to let the glue dry just a second or two before attaching the vellum. It will become clear and a little more tacky when it’s ready. Mini staples are a quick and decorative way to secure the edges of your vellum to the edges of your paper since they are effective fasteners that also pass for unique design elements. You can even add staples to embellishments and paper pieces placed on top of the vellum to secure the vellum even more in place. Again, this is one that you have to be tricky with. For this page, we laid out all the pieces on the vellum without attaching them, and when we got the look we wanted, we attached them using a tape runner. To attach the vellum circle to the page, we hid 3-D foam tape behind the photo and paper so you can’t see it. The 3-D foam tape is really fun because it gives the page added dimension and makes the vellum appear to be floating. We hope these tips give you the confidence to play around with vellum. 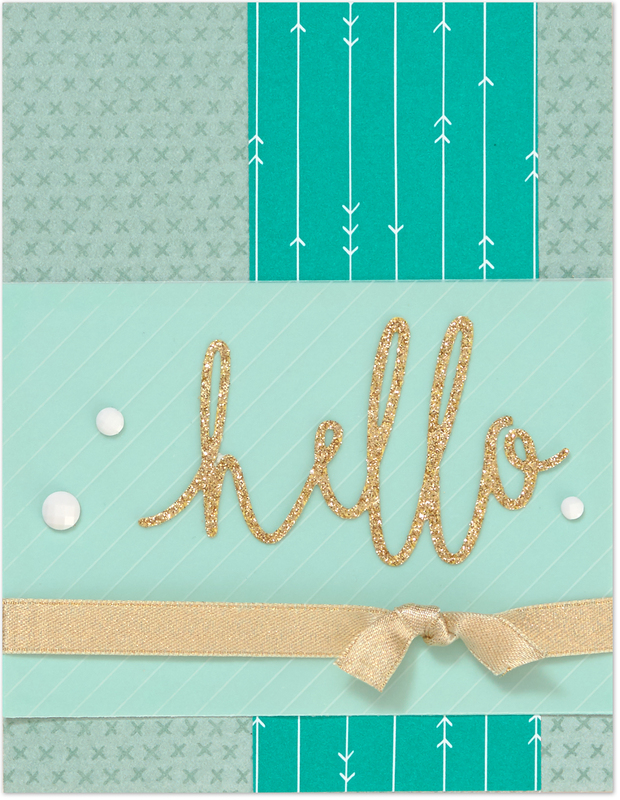 It’s such a fun material and really adds a unique touch to your cards and scrapbook pages. Now we want to hear from you! Tell us in the comments below which approach of the five is your favorite!